The Jaipur collection emotes colours that draw upon the food, art and culture of India! 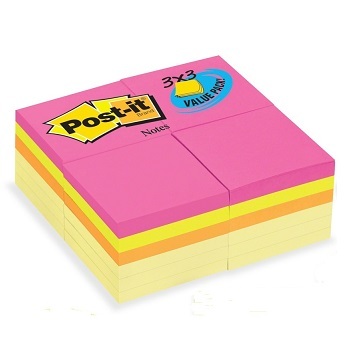 Jaipur Collection (formerly 'Ultra Colours') original self-stick, repositionable, touch down adhesive notes. 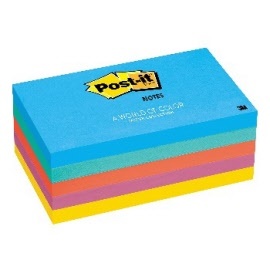 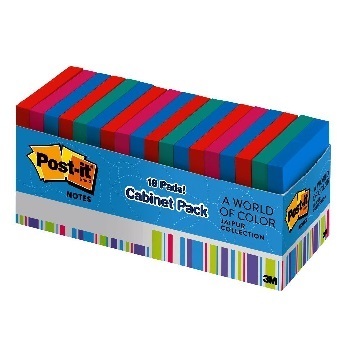 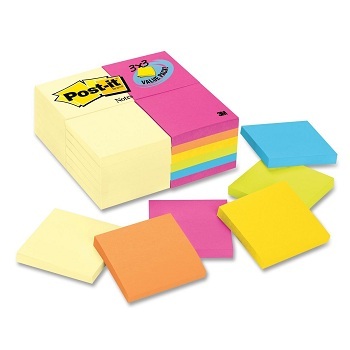 Never run out of your favourite Post-it® Notes again. 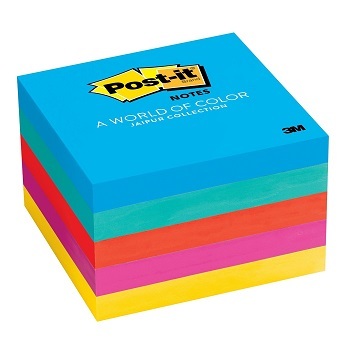 12 pads of canary yellow and 12 pads of assorted Cape Town collection colours. 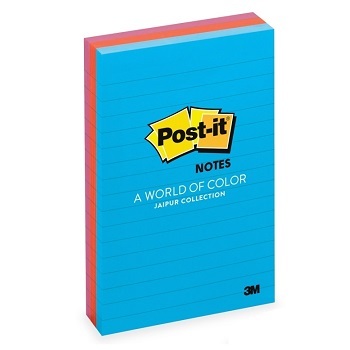 Canary Yellow and Cape Town Collection original self-stick, repositionable, touch down adhesive notes.